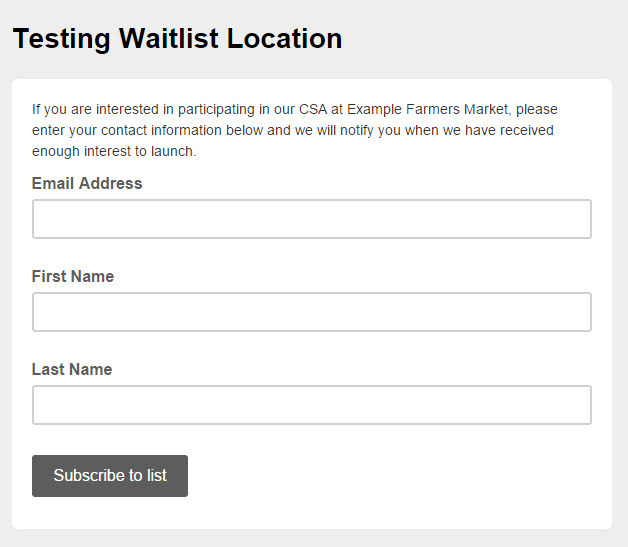 How can I direct members to a special location waitlist? If you would to track interest a special location that very distant from your other locations, you can take these steps to direct interested members to a special waitlist form. There are many free services that allow you to set up forms online. For instance, you can create a quick form using a free MailChimp in order to build a list of email addresses for members that may be interested in a potential location. <a href="http://yourformlink.com" target="_blank">Click here</a> to sign up to our waitlist. Once we have received enough interest in this location, we will notify you.